If one had tons of money in the early 60s and wanted to get the best car, the options were quite limited. 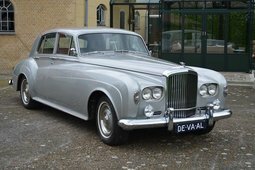 In fact, a couple of those options were only two versions of the same car – Bentley S3 and Rolls-Royce Silver Cloud III. Although slightly different from one another, they both cost twice as much as an average house. Needless to say, the luxury offered by S3 and Silver Cloud III was reserved to the wealthiest. S3 and Silver Cloud III were simultaneously introduced in Paris Motor Show in 1962. 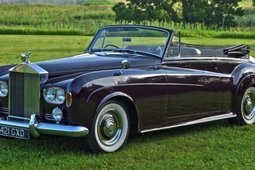 These models were the last iterations of Bentley S and Rolls-Royce Silver Cloud lines, as well as the last Rolls-Royce - Bentley cars to feature separate body on chassis construction. Most notable changes included a then-new quad headlight setup, more powerful V8 engine and weight reduction of 100 kgs. Even with that shedding of mass, both Bentley and the Rolls still weighed around 2 tons due to mountains of sound deadening, thick carpets and expensive wood trim inside. As a result of their size, these cars really had presence, even the standard saloons exceeded 5.4 m in length. Even the later unibody Bentleys and Rollses were slightly smaller. When one of the S3s or Silver Clouds would show up, there would be no doubt somebody important was inside. 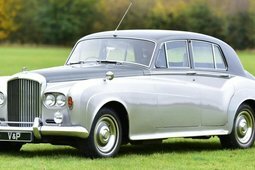 And indeed, many celebrities were hiding behind the tinted windows of these cars, including Elvis Presley, John Lennon and Frank Sinatra who owned Silver Clouds, while Rolling Stones’ guitarist Keith Richards rolled (I’m sorry) in a Bentley S3 Continental Flying Spur. The body-on-chassis nature of these cars lended them well to custom coach-built bodies. 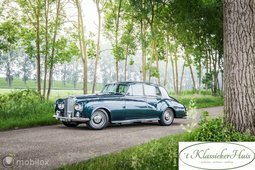 Mulliner Park Ward and James Young coachbuilders built lightweight aluminum Continental bodies for the Bentley which came in Flying Spur (saloon), Coupé and Drophead Coupé (convertible) guises. The same companies offered various body options for the posher Rolls as well. Sharing the same powerplant, same architecture and the same companies supplying the custom bodies, you’d come to think the S3 and Silver Shadow III were identical. That is not exactly true, since the cars were designed to appeal to different sort of people. 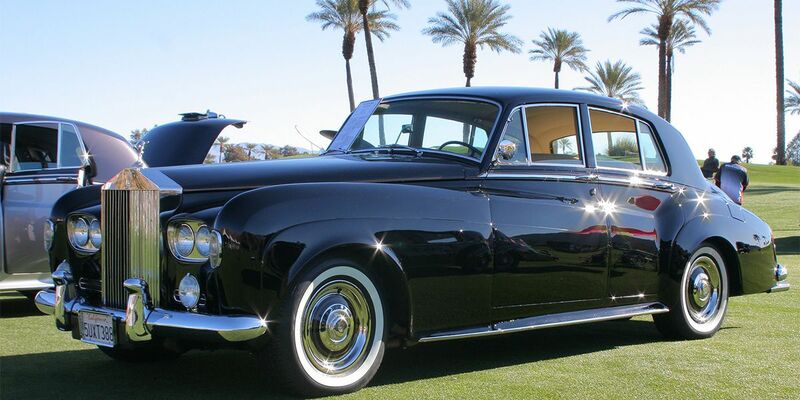 Sportier and nimbler Bentleys were set up to cater to those who prefer driving themselves. 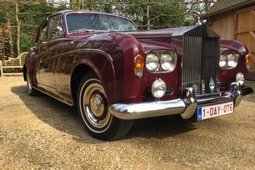 However, Rolls-Royce owners were expected to prefer being driven around. As a result, less attention was paid to the precision of controls, concentrating on the comfort of rear seat passengers. Both cars offered electric windows and folding writing tables in the back. 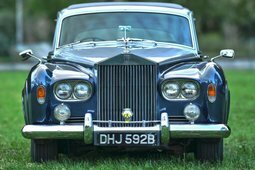 Lastly, the Rolls-Royces were a bit more lavish, with a bigger chrome grille and the signature Spirit of Ecstasy sitting atop of it which made Bentley seem a tad more understated. Despite the Rolls and the Bentley being unquestionable symbols of power, the company was not too vocal of how much power their engines were actually making. 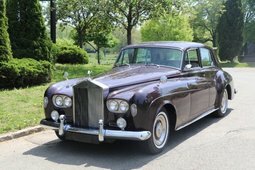 Rolls-Royce, as always, only declared the power was sufficient, adding that it was increased by 7% compared to the earlier Bentley S2 and Silver Cloud II. This was enough to propel these behemoths to 185 km/h top speed, when only the fastest road legal sports cars could crack the 200 km/h mark. 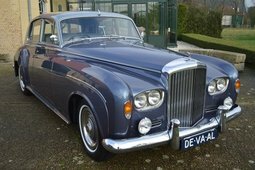 Unsurprisingly then, Bentley S3 and Rolls-Royce Silver Cloud III cost a significant amount of money. 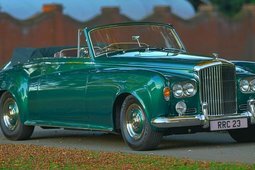 A standard Bentley S3 would set one back in excess of GBP 6,000, while coachbuilt models came with a 40%-50% premium. Rolls-Royces were even costlier than that. For your information, back then an average house in Britain cost GBP 2,500 and you could get an absolute top-of-the-line Jaguar Mark X for GBP 2,022. Luckily, now this epitome of the 60s excess is more attainable. Both nice S3s and Silver Cloud IIIs start at around EUR 70,000 and go up from there depending on their originality, rarity and history. Despite depreciating in price, they surely have not decreased in presence and will forever remain a staple of good life and power.